In western European countries Mennonites generally resided in heterogeneous communities. They accepted state schools for their children and established few private schools. Mennonite migrants to Russia were located in homogeneous settlements in which they established and conducted their own schools where instruction was given in the German language. All early migrants to North America, including Mennonites, established schools before state governments introduced universal public education. As in Russia, so in Canada and the United States, and later in Latin American countries, most early Mennonite immigrants settled as homogeneous communities in which they conducted their own schools. Separated from the cultures of its origin and removed from institutions of higher learning, Mennonite schooling gradually declined in quality and comprehensiveness. In Russia a major move for the improvement of schooling occurred under the leadership of Johann Cornies about 1843. Mennonite teachers and students were encouraged to obtain professional education in Germany and Switzerland, some qualified teachers were imported from the same countries, and Mennonite teacher training institutions were established in the Mennonite colonies. Though the standard of schooling improved, Mennonite schools remained aloof from the culture of the host country until the government enforced instruction in Russian in the 1860s. This, along with a subsequent policy of deliberate "russification," caused the more conservative Mennonites who were unwilling to accept such accommodation to emigrate to North America. The first Mennonite immigrants to Manitoba assumed that they had received for all time a promise of complete autonomy with respect to the schooling of their children -- a promise extended by federal officials in contradiction to terms inherent in the Canadian constitution (privileges). They suffered a rude awakening during World War I when compulsory school attendance was legislated, English mandated as the only language of instruction, the flag ordered to be flown at every school, and all teachers required to receive preparation and certification as directed by the Manitoba Department of Education. Also, children were not authorized to attend any private school which did not meet these same conditions. Where deemed necessary, public schools were located by the department in Mennonite communities, and in some cases private school buildings were requisitioned for public school purposes. Parents refusing to comply with the new laws were fined and some served jail terms. The more conservative members who feared and resented government intrusion in the education of their children migrated during the 1920s, some farther west in Canada where for a time they were beyond the reach of public education authorities, and in larger numbers, to Mexico. However, prior to public enforcement, the Manitoba government in 1891 had invited H. H. Ewert from Kansas to direct a teacher training program in the newly established private high school in Gretna (Mennonite Collegiate Institute), and also to act as its inspector of Mennonite schools, most of which were private and much in need of improvement. Ewert's endeavors were welcomed by the liberal elements while at the same time resented by the conservatives (Sommerfeld Mennonites). At the turn of the century state-approved teacher training was also introduced at Bethel College and other Mennonite colleges. The Mennonite schools in Mexico deteriorated further because of the absence of any formal teacher preparation. Attempts by Canadian and American Mennonites to assist in the improvement of these schools were at first resisted and in part boycotted upon the insistence of the local ministers. The Canadian experience was replicated in the 1930s when the Mexican government insisted upon higher standards in the instructional program and mandated that instruction be given in Spanish. Similar events and developments took place in other Latin American countries to which Mennonites migrated from Mexico and Canada (Belize, Bolivia, Brazil, Paraguay) at various times from the 1930s to the 1960s. Impoverished and disillusioned, some of the migrants returned to Canada for a new start. The Mennonites of Brazil seem to have accepted the reality of cultural pluralism more readily. Mennonites have desired to conduct their own schools so that their children would be nurtured in the "faith of the fathers" and preserve their ethnic traditions and customs. To this end private schools and instruction in a language different from that of the host country served to build in-group cohesiveness and boundaries against the assimilative forces of the surrounding culture (acculturation, nonconformity). On the other hand, public authorities were not motivated by educational standards alone, but desired the assimilation of the immigrants and the building of a spirit of national patriotism. Therefore they mandated instruction in the national language by teachers who had been trained in public institutions and certificated by state authorities. In some public schools the use of any language other than the dominant national language even on the playground, was expressly forbidden. Particularly during the world wars Mennonites feared the militaristic attitudes which public schools were expected to implant in their students. Both world wars caused consternation among Mennonites as public education authorities looked upon private schools with suspicion, particularly so where German was used as a major language of instruction. In response to the ill-feeling of the surrounding community, for example, Bethel College closed its German Department during World War I. On the other hand, in some communities increased parochialism was engendered by such public resentment. Such has been the case for Mennonites in Russia, Canada, the United States, and Brazil. Separation from the national public education systems has not necessarily assured the preservation of Mennonite intellectual and spiritual integrity. Of this Paraguay serves as an example, where during the 1930s German nationals persuaded many, including some of the ministerial leadership, to accept the ideas of German National Socialism. When a community is closed to cross-fertilization with major cultures, generally intellectual impoverishment sets in. Yet some groups have managed to thrive under such conditions as have the Old Order Amish, the Old Order Mennonites, the Church of God in Christ Mennonite (Holdeman), and the Hutterites. Nevertheless, no community in North America is totally isolated and public education authorities have managed to impose minimal educational standards for children in most schools whether these be private or public. Some post-World-War-II attempts to revive the maintenance of German cultural manifestations were made in Manitoba along with lesser support in some other provinces. These included the introduction of a short-lived Mennonite German educational periodical, the establishment of a Mennonite society for the preservation of German as a mother-tongue, and in Manitoba the employment by Mennonite school boards of a Mennonite "school inspector" to assist teachers in the instruction of religion in the German language, as well as instruction in German itself, both of which occurred mainly after regular school hours in public schools in Mennonite communities. However, such efforts did not stem the tide towards acculturation, and the acceptance of English not only as the language of instruction in Sunday school, but also of worship in the churches. Beginning in the 1970s, a North American movement for freedom of choice in schooling gained momentum among public educators. Associated with this has been an increasing tolerance for and an acceptance of private schools. Examples of this are the Amish school question in Iowa in the 1960s (regarding compulsory school attendance beyond age 15) and the Alberta Holdeman private school question in the 1970s (regarding the right of the community to employ its own non-certificated school instructors). In both cases the courts found for the defendants (Amish, Holdeman Mennonites). Also, in both cases part of the problem was brought about by the consolidation of school districts and busing of students to centralized larger schools. Public school districts, at one time comprising fairly homogeneous Amish or Holdeman rural communities, had disappeared, thus forcing the children to be part of a diverse school population and raising the fears of their parents regarding the consequences of such education for their children and for their children's loyalty to the parent communities. Also, the secularization of public schools serving an increasingly pluralistic constituency militated against explicit Christian teaching. An arrangement permitting an alternative Christian school to operate under the direction of the public school board in Calgary, Alta., during the 1980s was terminated. However, in Edmonton, Alta., a Jewish alternative school continued to enjoy relative autonomy under the direction of the public school board. Whereas private schools had been judged by the extent to which they met public school standards, in the 1980s public schools in several countries have been judged, in part, by their comparison to the best standards found in outstanding private schools. An example of such recognition is the fact that private schools which satisfy certain public education criteria also receive a measure of government funding in five of Canada's ten provinces. Whereas about 1960 the controversial question of whether to accept such funding was left unresolved at a provincial meeting of Mennonites in Winnipeg, in the 1980s such assistance is readily accepted as an equitable accommodation because all citizens through taxes support public schools. In the 1980s the Manitoba government also employed a Mennonite educator as its inspector of private schools, only a few of which were Mennonite. In British Columbia, the inspector of private schools, an Anglican, found Mennonite private schools equal to the best public schools in the province in 1986. In 1985 the commissioner for the study of private schools in Ontario recommended the public funding of private schools which met standards equal to those held for public schools, a privilege enjoyed only by Catholic schools operated separately as public schools. The privileged position of Catholic schools prompted the commissioner's recommendation, which had not yet been considered by the Ontario government by 1987. A specific private schools statute in Quebec gives parents the right to choose private schooling for their children. British Columbia also has specific private school legislation since 1977. In some of the provinces conditions for private schools are stipulated in the context of public school legislation, and some provinces make no reference at all to private schools in legislation. The constitution of the Federal Republic of Germany provides for the right of parents to choose private schools for their children. Moreover, such private schools are largely supported through government funding. Such is also true in The Netherlands and Australia. So far the United States has been somewhat unique in that its courts have ruled that private schools shall not receive any public funding. Though the work of Christopher Dock is recorded in some American histories of education, it is doubtful that his influence extended beyond the early Mennonite private schools in Pennsylvania. Modern equivalents of Dock are scholars whose works are published in academic journals, whose papers are read at learned conferences, and whose ideas infuse both public and private education. Likewise, most modern Mennonite leaders -- both laypersons and ministers -- are people educated in both public and private institutions, who, like Cornies and Ewert, bridge the gaps between Mennonite orthodoxy and world cultures. Furthermore, modern communication and transportation enable Mennonites of diverse world cultures to meet and develop understandings without trivializing any one particular tradition. During the latter half of the 20th century several Mennonite private colleges have sought and obtained public accreditation and some also affiliation with public institutions of higher learning. Some private college instructors also teach in their public affiliates. Most Mennonite college instructors have obtained their advanced degrees from public universities. Others have chosen their professional careers in public educational institutions, some as senior civil servants in government. Mennonite teachers, including those trained in Mennonite schools, also teach in public schools. Some Mennonite educators have chosen to work in public institutions in order to enjoy greater academic freedom and intellectual autonomy. At times public institutions serve as models of intellectual freedom for some Mennonite schools which severely constrain their instructors in questions of their conformity to orthodoxy. The University of Winnipeg in 1977 accepted funds to establish a Chair in Mennonite Studies under the direction of Harry Loewen, and in 1984 a Mennonite Studies Centre under the direction of George K. Epp (former president of the Canadian Mennonite Bible College, Winnipeg). Both of these have been funded by the David Friesen Family Corporation. Other Mennonite professors at the university provide assistance in the instructional programs of the two units. Another example of the bridging between the public and the private education sectors is that of former president of the Mennonite Brethren Bible College (Winnipeg), Frank C. Peters who subsequently served as president of Wilfrid Laurier University (Waterloo), 1968-78, where he led the school as it shifted from a private to a public university. Researchers have found it difficult to establish indisputable cause and effect relationships between public education and Mennonite values and beliefs when they must also account for many non-educational variables. However, it is not difficult to ascertain a trend towards an acculturation in which the benefits of public education are accepted while at the same time specific Mennonite teachings, such as those on matters of religious faith and peace and service education, are best promoted within Mennonite institutions. Anderson, J. T. M. The Education of the New Canadian. Toronto: J. M. Dent and Sons, 1918. Bergen, John J. "Choice in Schooling." Journal of Educational Administration and Foundations. U. of Manitoba 1 (1986): 37-48. Bergen, John J. "Freedom of Education in a Religious Context: the Alberta Holdeman Private School Case." Mennonite Quarterly Review 55 (1981): 75-85. Driedger, Leo and Peter Hengstenberg. "Non-official Multilingualism: Factors Affecting German Language Competence, Use and Maintenance in Canada." Canadian Ethnic Studies, 18, no. 3 (1986): 90-109. Ens, Adolf. "The Public School Crisis Among Mennonites in Saskatchewan 1916-25"and Don Wiebe, "Philosophical Reflections on Twentieth-century Mennonite Thought," in Mennonite Images, ed., Harry Loewen. Winnipeg: Hyperion Press 1980: 73-81, 149-64. Epp, Frank H. Mennonites in Canada, 1786-1920: the History of a Separate People. Toronto: Macmillan, 1974: 334-58. Finn, Charles E. "Why Public and Private Schools Matter." Harvard Educational Review 51 (1981): 510-14. Francis, E. K. "The Mennonite School Problem in Manitoba, 1874-1919." Mennonite Quarterly Review 27 (1953): 204-37. Friesen, John W. "Studies in Mennonite Education: the State of the Art." Journal of Mennonite Studies 1 (1983): 133-48. 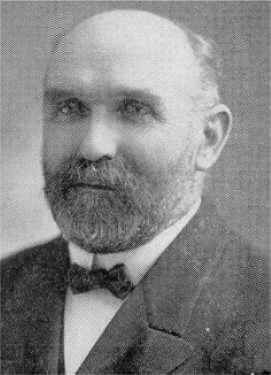 Hartzler, John E. Education Among the Mennonites of America. Danvers, IL: Central Mennonite Publishing Board 1925. Hostetler, John A. Children in Amish Society. Toronto: Holt, Rinehart and Winston, 1971: 97-116. Hostetler, John A. and Calvin Redekop. "Education and Assimilation in Three Ethnic Groups." The Alberta Journal of Educational Research 8 (1962): 189-203. Jentsch, Theodore W. "Change and the School in an Old Order Mennonite Community." Mennonite Quarterly Review 50 (1976): 132-35. Kraybill, Donald B. "Religious and Ethnic Socialization in a Mennonite High School." Mennonite Quarterly Review 51. Kreider, Robert. "Anabaptism and Humanism: an Inquiry Into the Relationship of Humanism to the Evangelical Anabaptists. Mennonite Quarterly Review 26 (1952): 123-41. Minnich, Reynolds H. The Mennonite Immigrant Communities in Paraná, Brazil. Cuernavaca, Mexico: Centro Intercultural de Documentacion, 1970: 8/14-26. Postma, Johann S. Fernheim, fernes Heim. North Newton: Mennonite Library and Archives, 1946. Quiring, Walter. "Die Witmarsumer von Morgen." Der Bote (21 July 1937): 2. Rodgers, Harrell B. Community Conflict, Public Opinion and the Law -- the Amish Dispute in Iowa. Columbus, Ohio: Charles E. Merrill Publishing Co., 1969. Sawatzky, Harry Leonard. Mennonite Settlements in British Honduras. Winnipeg: U. of Manitoba, 1959: 56-59. Sawatzky, Harry Leonard. They Sought a Country -- Mennonite Colonization in Mexico. Berkeley: U. of California Press, 1971: 14-30, 305-15, 365-67. Toews, John B. "Cultural and Intellectual Aspects of the Mennonite Experience in Russia." Mennonite Quarterly Review 53 (1979): 137-59. Vandever, William T. "The Education of Teachers at Bethel College, in Kansas 1893-1927." Mennonite Life 42 (March 1987): 4-9. Bergen, John J. "Public Schools." Global Anabaptist Mennonite Encyclopedia Online. 1989. Web. 21 Apr 2019. http://gameo.org/index.php?title=Public_Schools&oldid=143702. Bergen, John J. (1989). Public Schools. Global Anabaptist Mennonite Encyclopedia Online. Retrieved 21 April 2019, from http://gameo.org/index.php?title=Public_Schools&oldid=143702. Adapted by permission of Herald Press, Harrisonburg, Virginia, from Mennonite Encyclopedia, Vol. 5, p. 732-734. All rights reserved.